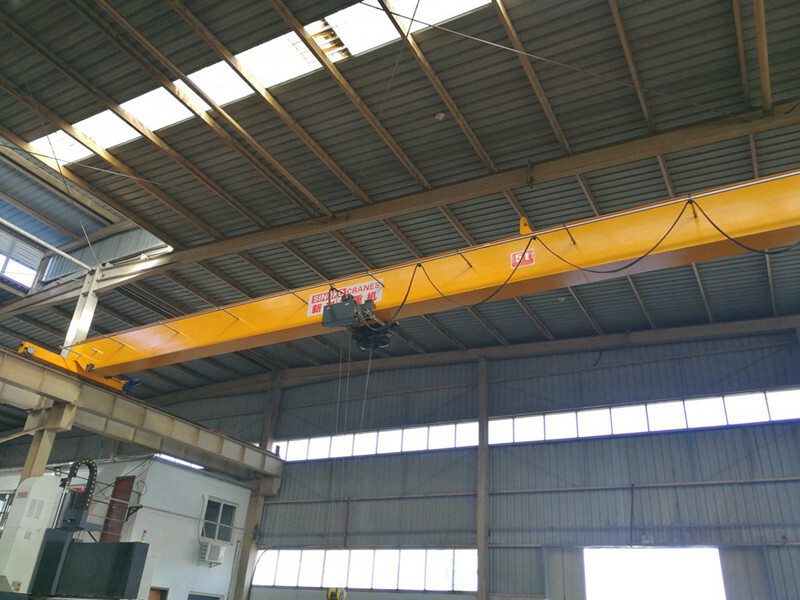 European single-beam crane, with light weight, compact structure, low energy consumption. 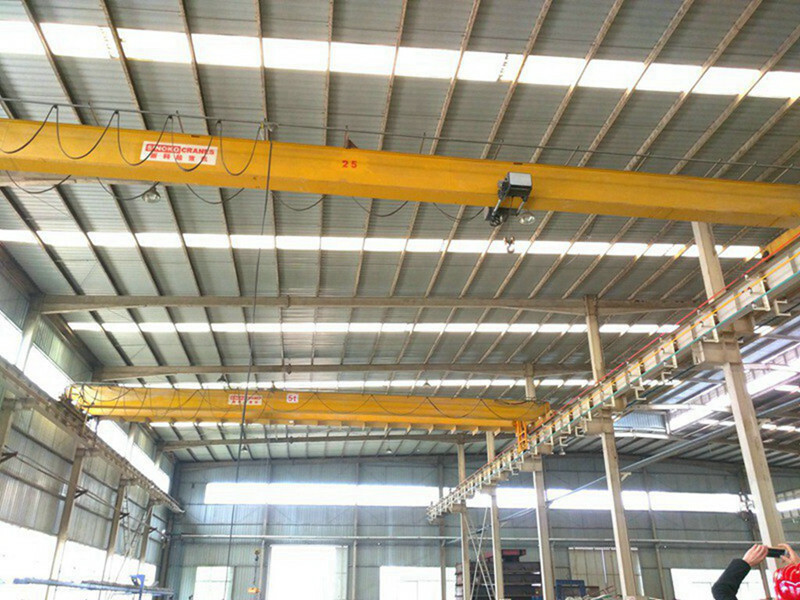 European crane with unique design concept, small size, light weight, small wheel pressure characteristics. 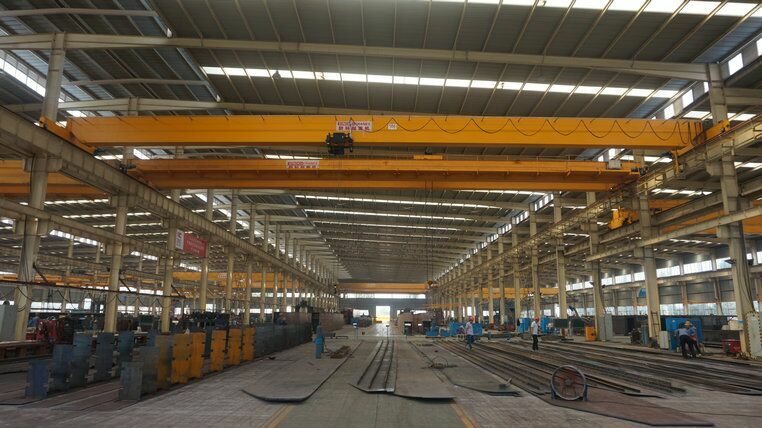 Compared with the traditional crane, the distance between hook and the wall is smaller, the minimum clearance height, Sinoko crane can be closer to the front of the operation, lifting higher height, the actual increase in the existing plant effective work space. 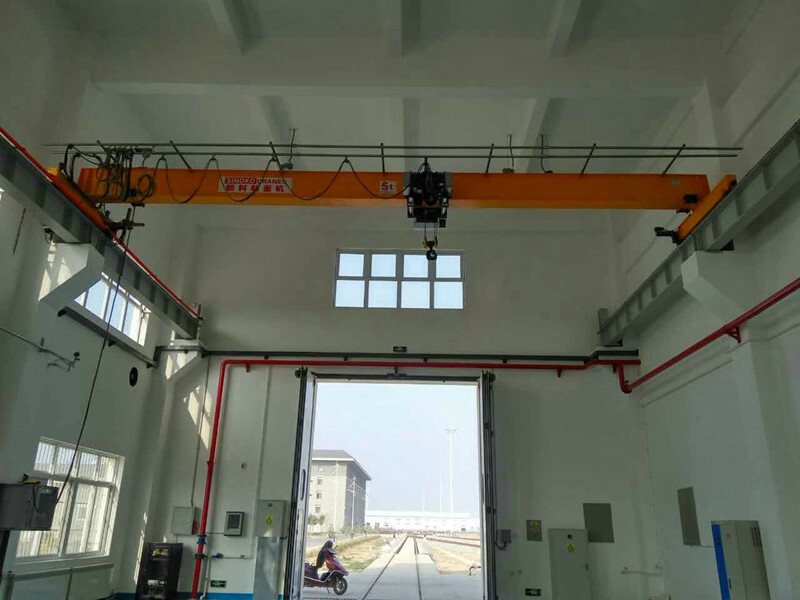 As the crane has a light weight, small wheel pressure characteristics, the new plant space can be designed to be smaller, more complete function. The smaller plant means that the initial construction investment, as well as long-term heating, air conditioning and other maintenance costs can save a considerable amount of money. 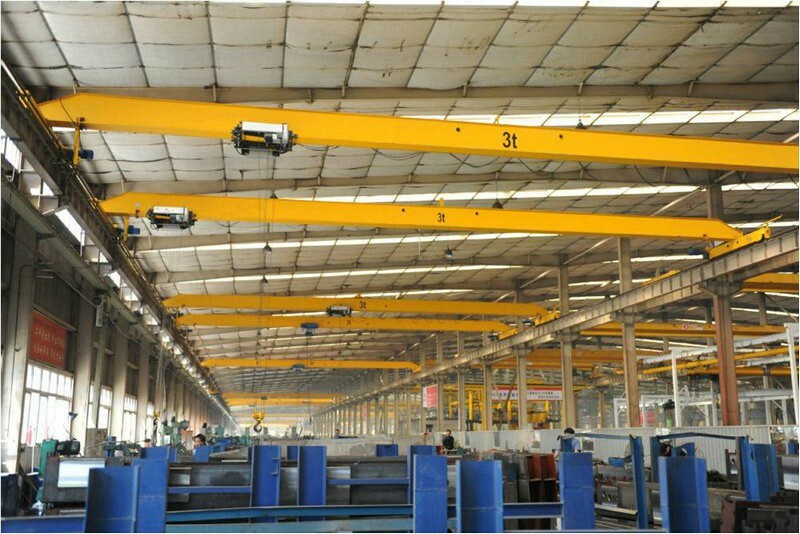 &bull; Single main beam, welded box, the arch in line with national standards. &bull; The steel sheet material is Q235B or Q345B. &bull; The web plate is cut by 40m CNC machine cutting to ensure smooth molding and precision of the crown curve. &bull; The main weld with submerged arc welding, non-destructive testing. &bull; After welding the whole beam shot blasting treatment, to Sa2.5 level, to eliminate welding stress. &bull; Epoxy zinc-rich paint, two bottom two sides, 140&mu; thick, long life, beautiful appearance, good gloss. 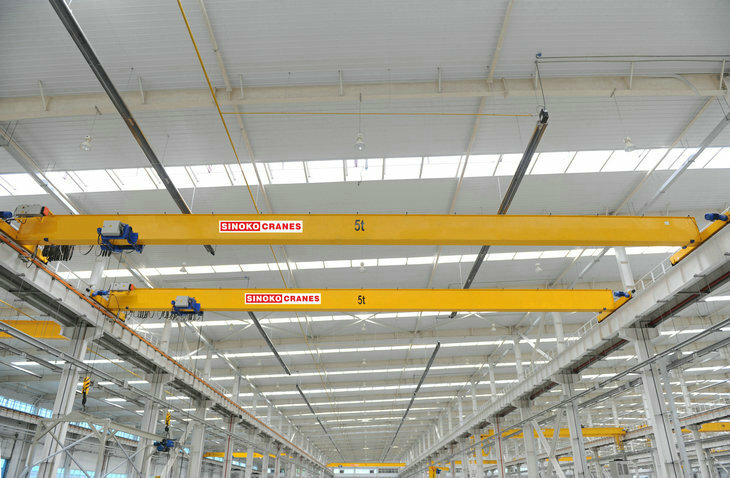 &bull; The main beam and the end beam are connected with 10.9 high strength bolts to ensure the strength and precision of the whole structure. &bull; The long travelling and trolley are all use three-in-one drive mechanism, variable frequency stepless speed, hardened surface, disc brakes. &bull; Long travelling level IP55, F-class insulation, power transfer rate of 40% ED. 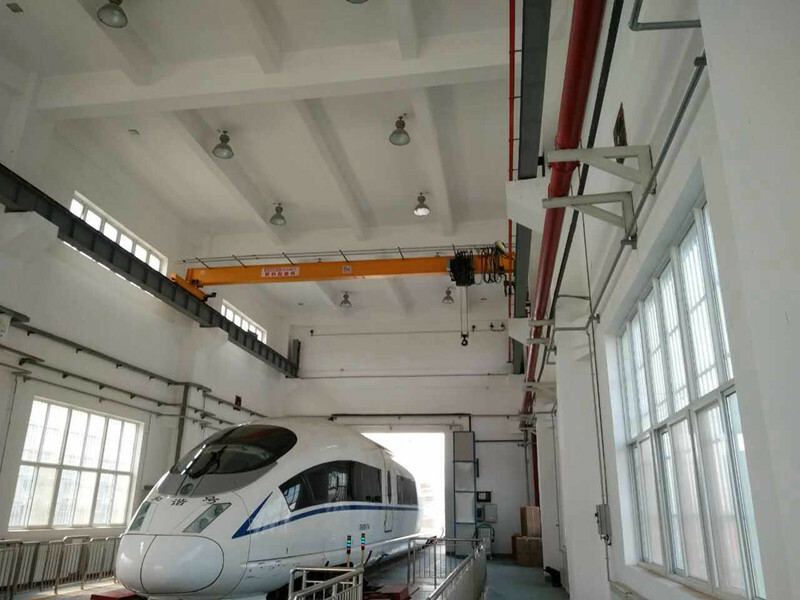 &bull; End beam configuration flat wheel or double wheel rim wheel, anti-wear bearing, cart buffer block, anti-derailment end plate. 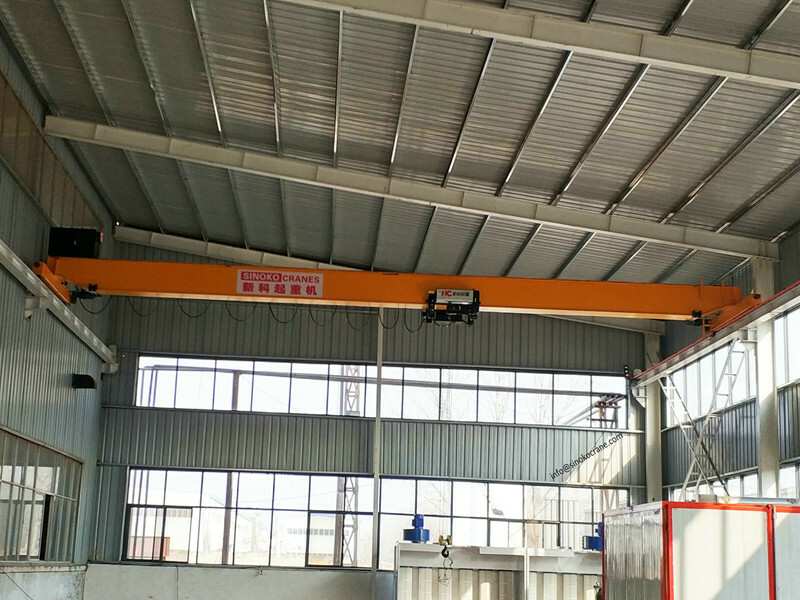 &bull; Long travelling, cross travelling and lifting hoist are Independent operation, can run alone or at the same time. &bull; Electronic control box anti-corrosion, protection class to IP55. &bull; Trolley mobile power supply system by the flat cable, galvanized slide and cable pulley, sliding smooth. &bull; Long travelling, trolley triple motor anti-fall protection, to prevent accidental fall. 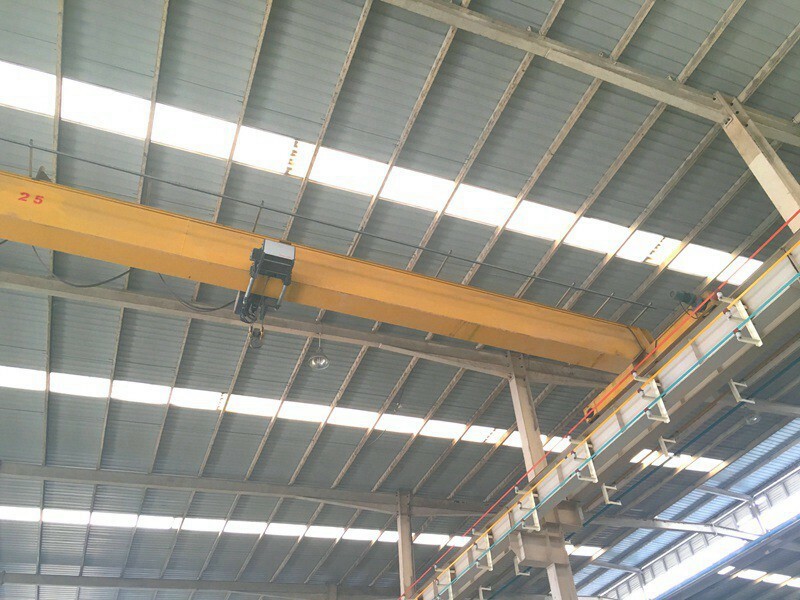 Pendent line control and remote control.